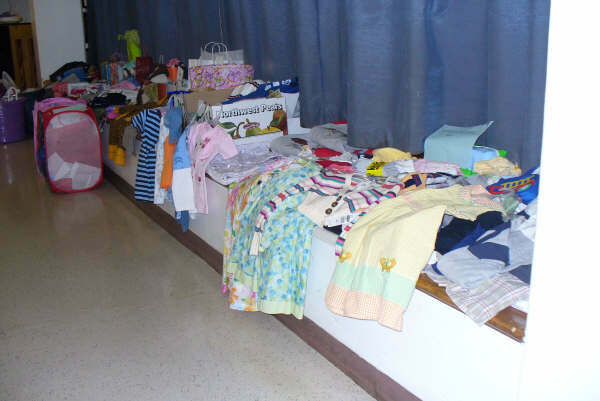 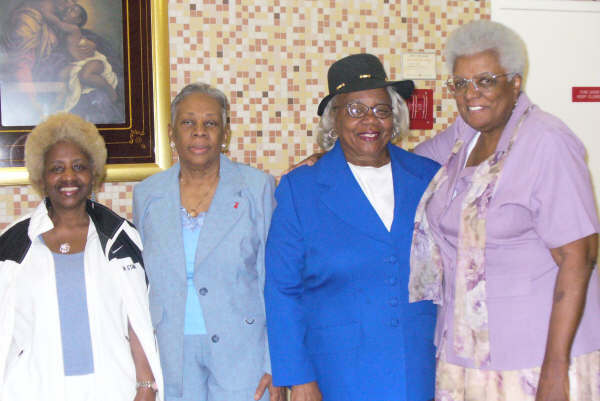 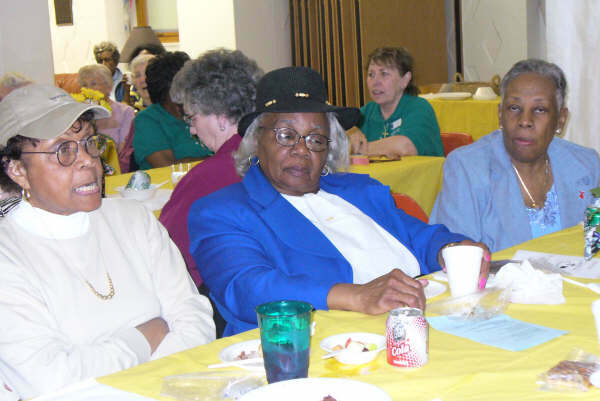 On May 3, 2008, the Archdiocese of Washington Ladies of Charity celebrated May Day at St. Ann’s Infant and Maternity Home. 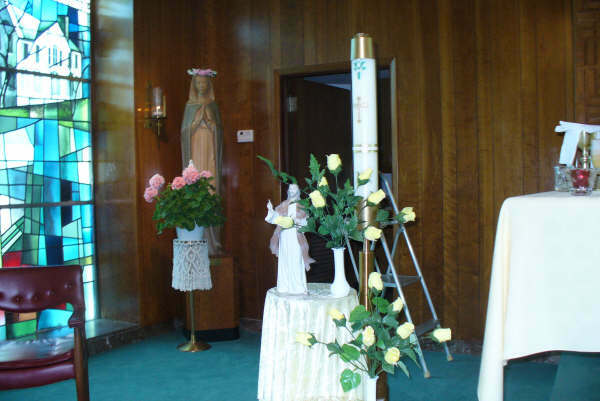 Ladies from all 5 areas were in attendance for the celebration of Mass in honor of the Blessed Mother. 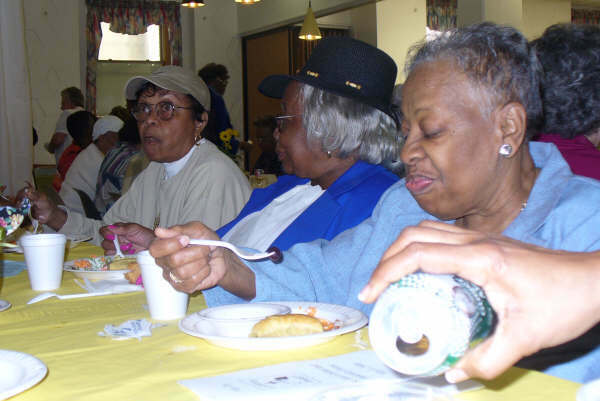 The ladies had lunch together and brought gifts for the children at the home. 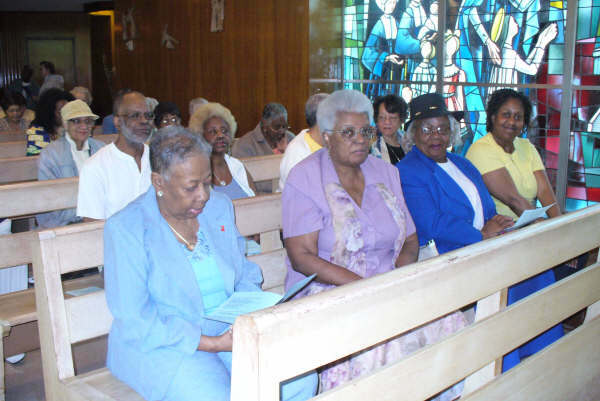 Ms. Vivian Chase, President of the Archdiocese of Washington Ladies of Charity thanked the ladies for their participation in the May Day celebration and encouraged them to continue to do the works of St. Louise and St. Vincent. 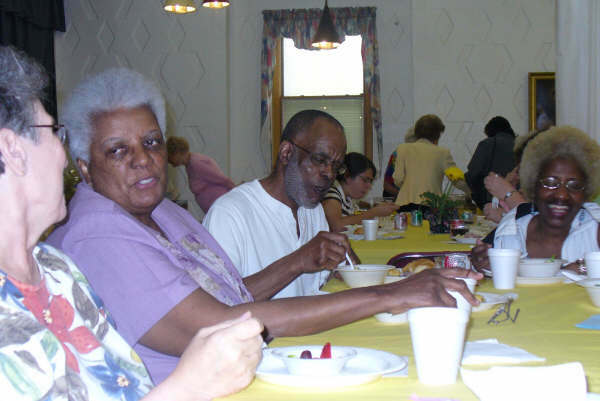 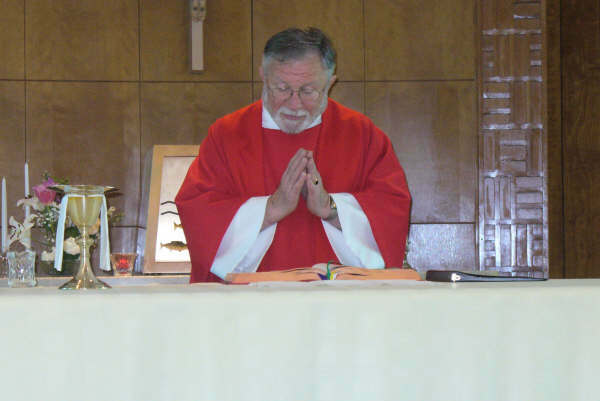 Pictured are members enjoying the celebration of Mass and having lunch, Father Carl Dianda – celebrant of the Mass, and layette items brought for the children.